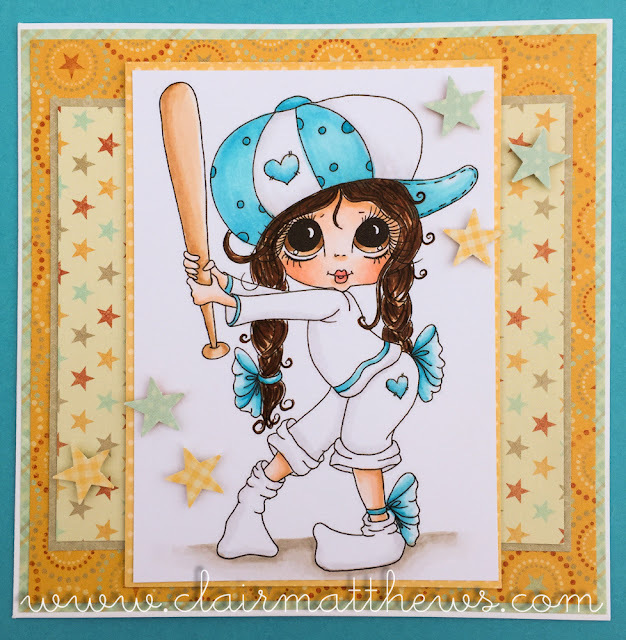 Clair Matthews: Besties design team card..
..Hi guys, It's 'Same But Different' time again over at My Besties blog..
this month we're all playing with this pretty image - you can find her HERE. If i'm 100% honest I wasn't a fan of this Bestie at first, but now I've coloured her I really like her!! it just shows how much your own personal touch on something really makes a difference. I hope you like her..
Lovely card, I love the way you have colored her with the white. I have a hard time leaving white space in my images LOL. Anyway great design too.